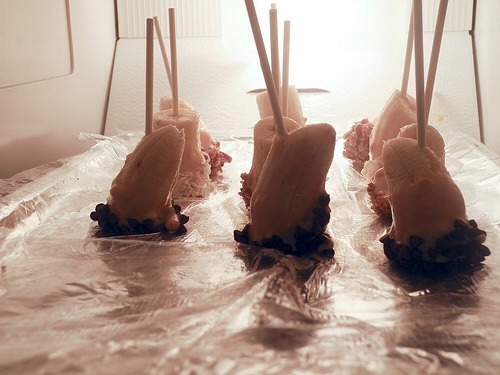 Frozen Bananas. Great For Kids! 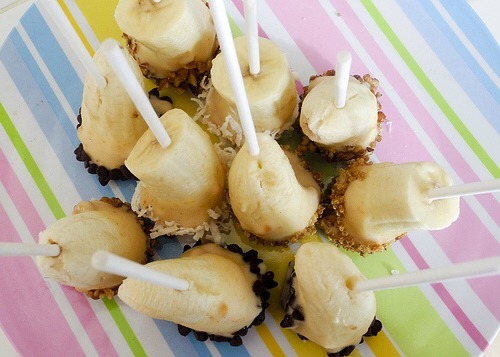 These delicious treats are healthy and great for kids! 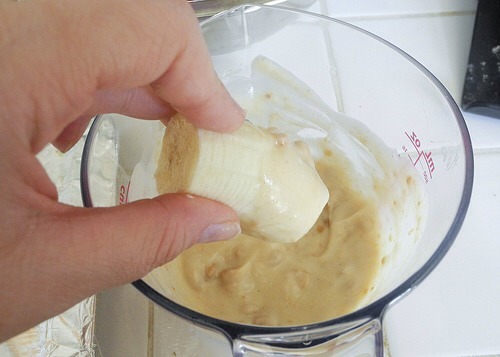 Start by mixing a cup plain yogurt with about 3tbsp of peanut butter (optional) take half if a peeled banana, and dip the bottom into the mixture. 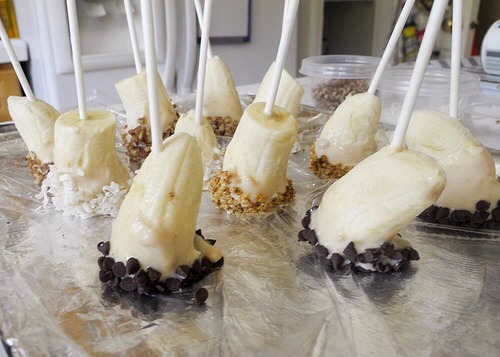 Take Popsicle sticks (skewers will also work) and stick into bananas. Place on Wax paper covered cookie sheet. 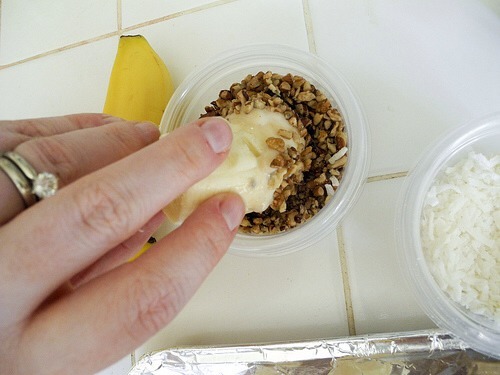 Place in freezer for about an hour, or until frozen. Serve, and enjoy!